Pastor Jensen was born in the Midwest, raised in the Southwest and has lived on or near the East Coast for the past 20 years. He has an undergraduate degree in accountancy from Arizona State University and a Master’s of Divinity from Concordia Seminary, St. Louis. 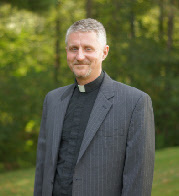 Over the past two decades he has served congregations in New York City, Vermont and Massachusetts. He and his wife, Paige, have two sons. Pastor Jensen has a passion for helping people grow in their understanding of who Jesus is, why they need Him and what it means to follow Him. To that end, he welcomes frank discussions and never shies away from the difficult questions people ask. (To be perfectly honest, he has plenty of his own!) When he’s not working or watching his sons play sports, Pastor Jensen enjoys exploring New England with Paige, reading a good book, watching reruns of NCIS, spending the day at the beach, a heart-pounding ride on a single-track trail or working with his hands. If power tools are involved, all the better! 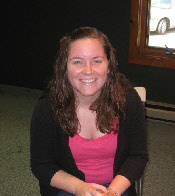 Kerry Trunfio is the Director of Youth Ministry at Our Savior Lutheran Church. She is a 2012 graduate from Gordon College with a degree in Christian Ministry and a concentration in Youth. Kerry’s passion for student ministry really became evident in her senior year of high school, when she took part in an internship under the lead Youth Pastor at First Presbyterian Church of the North Shore. Throughout her time at Gordon, she continued to further her experience in ministry as a both a volunteer and intern in the ministry program at First Presbyterian, which helped prepare her for where she is today. She was involved in a broad variety of programs, all with the desire to build relations with students that teach them about the personal relationship available to them with Jesus Christ. Kerry is newly married and her husband, Joel, works in the Development Office at Gordon College. You can often find Joel volunteering with the youth program, and he is always willing to play a game of basketball or foosball with a student! They live in Beverly, MA with their kitten, Jackie, who is constantly keeping them entertained. Wendy Betts is Organist/Director of Music Arts, leading adult and children’s choirs and hand chime ensembles for the liturgical service. Wendy’s passion is helping others develop their God-given musical gifts to their full potential, at church and in their communities. 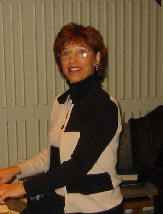 She operates an independent voice studio in Rockport, where she works with students of all ages, is founder and director of Share-the-Music, and Choral Director for the Cape Ann Symphony Chorus. When there is time beyond satisfying the Music Muse (a very demanding and challenging task mistress! ), Wendy enjoys walking, reading, weeding, attending concerts and theatre, playing board games with her family, socializing with good friends, and living close enough to her three grandchildren – Virginia, TJ, and Lydia – to be in an integral part of their young lives. She is grateful that she has such a supportive, encouraging husband, Hank, and that her children Bill (and wife Holly) and Brittany are in close proximity, even attending and serving together at Our Savior!